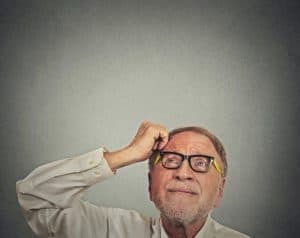 Is there such a thing as Medicare Assisted Living? 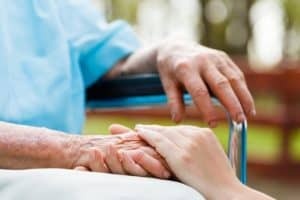 Will Medicare cover the costs of living in an assisted living facility? Does Medicare cover daily self-care support services? People ask these questions a lot! The short answer is NO… and partially yes. Generally, Medicare will not cover assisted living or other long-term care facilities. But it can cover qualified health care expenses. I know it sounds confusing but let’s flesh it out in order to understand what Medicare covers. Read on to find out more on Medicare Assisted Living. Assisted Living communities are places that promote independent living. These communities provide personal care assistance, daily living assistance, and administration of medication. They also provide custodial services such as meals, personal care assistance, transportation, and 24-hour supervision. Assisted Living communities are better than nursing homes since they provide more privacy and freedom. Medicare covers qualified health care costs while you are living at the assisted living facility. Additionally skilled health care services and short-term stays in skilled nursing facilities (SNF) are covered. If let’s say you are recovering from an operation or need treatment, then Medicare Part A has you covered. That's why people sometimes confuse skilled nursing facilities and assisted living communities. An assisted living community is more for custodial care while a skilled nursing communities provides a higher level of health-care services. What Medicare doesn’t do is cover the cost of living in the assisted living facility. The official Medicare handbook, states that enrollees must pay for long-term care services (such as personal assistance at home, assisted living, and nursing home care) entirely from their own income and savings. What type of plan should I have in Assisted Living? 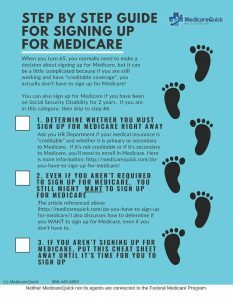 I've been working with enough assisted living communities to know that you might be better off with original Medicare and a Medigap policy if you move to an assisted living community. Why is this? Most of these communities have “mobile doctors” or “traveling doctors” that come to their communities to see residents. The mobile doctor might have a “route” such as “the first Friday of each month” and additionally might come when someone is sick. I've never met a mobile doctor who accepts HMO Medicare Advantage Plans. That doesn't mean that they don't exist, it just means that they are a rare breed, or what I call a “unicorn”. Because mobile doctors have higher expenses (they are driving to you after all) and they can see fewer patients, they usually want the higher payment that original Medicare and a Supplement Plan can give. For that reason, I typically (but not always) recommend that people living in Assisted Living Communities have original Medicare, a Medigap plan, and a Drug plan instead of an MAPD. This gives the resident the ability to choose any doctor, and can get care such as physical therapy without the limits that most HMO MAPD plans place on their members. There are exceptions of course, and if you'd like an analysis of your own situation, use this form to ask for a Medigap quote, and we'll take a look for you. Medicare Assisted Living: No…and Yes! Medicare will not cover assisted living or other long-term care facilities. On the other hand, skilled health care services, home health services, and short-term stays in skilled nursing facilities are covered. Take note of the difference. Also understand when Medicare will pay for Skilled Nursing Care, because there are limitations. If you'd like us to help you determine if a Medigap plan is right for you, use this form to ask for a quote an we'll contact you as soon as possible.